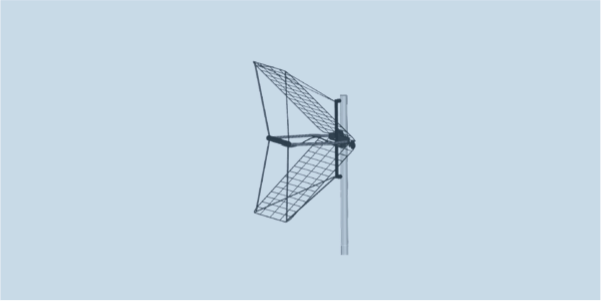 WR2250B is a lightweight, deployable, directional antenna for 225-512 MHz tactical communications that can be quickly fitted with V or H polarization to a mast. WR2250B has a directional radiation pattern with gain of 8-12 dBi and excellent VSWR, <2:1, across the entire frequency band. Beamwidths are 45° in the E-plane and 70° in the H-plane. This directional antenna can handle 100 W RMS power and only weighs 6 kg. A video showing WR2250B setup and deployment is here.